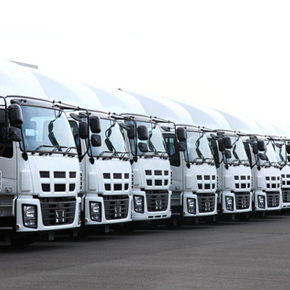 The Freight Rate Central offers a fully automated, instant, online automatic quoting system. However, in order to produce a dependable and binding quotation, you need to make sure that the form is filled out correctly. Here are some of the quote-related issues that we’re asked about most often. If you’re ready to try our instant online freight quoting system, then just choose one of our three instant online freight quoting forms: Truckload, Less Than Truckload or International. If you’re not sure which one you need, then take a quick look at our FAQ for Types of Freight Shipments. If you’re not sure about how our service works, then read up on Logistics Basics. Of course, you’re always welcome to give us a call at 855-372-7447 if you haven’t found what you need and want to ask us directly. NMFC stands for "National Motor Freight Classification." It's a freight class determined by the NMFC that is based on the density of your freight; how many pounds your goods weigh per cubic foot. You'll see a pull-down menu for all the Freight Classes available on the form you have to fill out to get one of our fully automated online quotes. It's important to get the NMFC number right, because you could end up paying significantly more than expected for shipping if you get it wrong. If you know how much your goods weigh per unit volume, then you won't have any trouble determining the NMFC. Just follow the table below. If you're not sure, then give us a call or e-mail, or check with the National Motor Freight Traffic Association. They're the ones who set the standards. 1. Measure the length, width, and height of the shipment in inches. If the freight is on a pallet, boxed, or is crated, make sure to measure the outer dimensions for the length, width, and height of the pallet, box, or crate. On shipments with varying box, pallet, or crate sizes, repeat this step for each piece you are shipping. 2. Once you have the dimensions you will then multiply the Length, Width, & Height measurements you obtained (L x W x H). This will give you your total cubic inches. Repeat for every pallet, box, or crate being shipped. 3. You will then take the total cubic inches of each item and divide by 1,728 (the # of cubic inches in a cubic foot). This will give you the cubic feet of each package that you are shipping. 4. You then take the weight of the freight including packaging (in pounds), and divide by the total cubic feet of the pallet, boxed, or crated shipment. This will give you the pounds per cubic foot (ppcft)… hence the density of your freight!. Divide 1000 pounds by 53.33 cubic feet = 18.75 pounds per cubic feet (PPCFT), or the shipment density. What Payment Methods Will You Accept To Schedule My Shipment? We accept Visa, Mastercard, American Express and Discover. You can use either a credit or debit card to secure shipment. How Dependable are Freight Rate Central's Online Freight Quotes? The Freight Rate Central's automatically generated online quotes are as good as the information that you provide when you fill out the form. If you make estimates or guesses and it turns out that they're wrong, then the cost could change — in either direction. If you get everything right, then you are looking at a real, binding quotation. Freight Rate Central has arrangements with its affiliated carriers to provide shipping services at the rates quoted, so if you provide the carriers with the proper documentation and your shipment is as described, then they are very accurate. Are the Transit Times in the Quotes Guaranteed? Our transit times are generally reliable, but unless you've chosen the option for guaranteed transit times, then they are not guaranteed. Our carriers do everything they can to stay abreast of roadwork and inclement weather, but the roads are still not 100% predictable. That's why a guarantee incurs an extra charge. Please note that the day your freight is picked up is not included in the estimated transit time. I Received an Invoice Directly From a Carrier. What Do I Do? If you receive an invoice directly from a carrier, then a mistake has been made, and it needs to be resolved. Call us right away at 855-372-7447 and e-mail or fax us the invoice. Although this situation can arise because of an administrative error, it is most commonly a result of a missing BOL, or Bill of Lading. It is your job to make sure that the freight carrier is provided with the proper BOL, issued to you by Freight Rate Central. If the carrier has not processed the FRC-issued Bill of Lading for whatever reason, then we are happy to provide them with a copy. Tracking your shipment is easy and can be done anytime, online. Simply go to the Freight Rate Central home page and enter in your BOL or reference number in the space provided, then press the "track" button. If you have any further questions, you are always welcome to give us a call at 855-372-7447. What is Dimensional Weight and How Does it Affect Cost? Dimensional weight is a concept that is used by the trucking industry to take volume, as well as weight, into consideration when calculating shipping charges. It was adopted because shipments that consisted of very light packages, billed based on their weight alone, were leaving truckers in the red. It's nothing more than a minimum density for purposes of cost. If you're shipping reasonably heavy goods, then your dimensional weight will simply be the weight of your goods. If you're shipping light packages, then the dimensional weight will be equal to a minimum weight per unit volume. For US domestic shipments, this minimum weight is 194 cubic inches per pound, which is equal to 8.9 pounds per cubic foot. For international shipments, it's 166 cubic inches per pound. FedEx has a calculator as well. Do You Need To Know the Shipment's Volume and Dimensions As Well As its Weight? You only need to provide the dimensions of your shipment if you're shipping internationally. Domestic shipments are billed according to weight and freight classification number (FCN). Since the freight class is based on the density of the items being shipped, it is possible to estimate the volume of the shipment based on its FCN. "Accessorial" is a derivative of "accessory," so its meaning makes pretty good sense; it means "add-on." Accessorial fees are extra charges for things that make your shipment more complex for the trucking company, things like pickups or drop-offs in residential neighborhoods, lift gate service, loading or unloading from a building interior and last-minute rescheduling of the pick-up time or date. In our quotation system, several of these fees are applied based on the options you choose at the top of the form. They vary by carrier. For example, some trucking companies charge for lift gate service and others don't. Do I Need a Liftgate? If you're shipping to or from a location that will not have an available loading dock upon pick-up or delivery, then the answer is probably "yes." Liftgates are mechanisms at the backs of trucks that can raise and lower the freight so that it can easily be picked up by a forklift or hand truck. Depending on the service provider, a lift gate may or may not incur a small extra fee, however, better safe than sorry! *commercial vs. residential is not usually the most important variable. What Happens if I'm Wrong About the Weight or Freight Classification? If you underestimate the weight of your shipment and receive a quote that is too low, then the carrier will re-class the freight and the cost will be adjusted to reflect the real weight. This is a common occurrence, and it is usually not a problem. However, it can be an issue if the weight of the cargo is close to the weight limit for the vehicle. Try to be as accurate as possible when determining the freight classification. Is Residential Shipping More Expensive? Yes, it is generally more expensive and problematic to ship to and from houses than it is to ship to and from commercial or retail buildings. To be considered a business, your pick-up or drop-off point must open and close at regular times. Be aware: in some cases, businesses, schools, churches and other organizations in residential areas are treated as residential pickups or destinations for purposes of shipping. The higher cost has to do with more complicated access issues and a greater degree of risk. However, that's just one of many factors carriers consider in determining the cost for shipping freight. What if the Truck Arrives and We're Not Ready? You need to be ready when the truck arrives. Your pick-up point is probably not the only one on the driver's schedule, so a late pickup can affect everyone. Some clients may even have a transit time guarantee. If you're not ready on time, then your pickup will likely be delayed for at least a day, and you may also be subject to fees for Truck Order not Used (TONU) and/or for cancellation. Your shipment will be insured by the carrier, not by Freight Rate Central. The Industry standard level of coverage for freight starts off at 10? a pound for used goods, and is significantly higher but does vary if you are shipping new goods. If you require additional insurance, you will need to arrange for it separately. What's the Procedure For Insurance Claims on Lost or Damaged Shipments? Lost and damaged items are generally handled through you, the carrier and the insurance company. This is another circumstance where the Bill of Lading is important. For a smooth recovery, make sure that the shipment is confirmed and inspected before the truck leaves and that any missing or damaged items are recorded on the Bill of Lading. Always file the claim as soon as possible; it must be filed within 90 days of delivery. If you need advice on how to file a claim, don't hesitate to contact us.